If you have missing teeth you will know that, among other problems, it can make you feel self-conscious and eating can be difficult and painful. Our implant patients no longer have these problems. They say their treatment was one of their best investments. 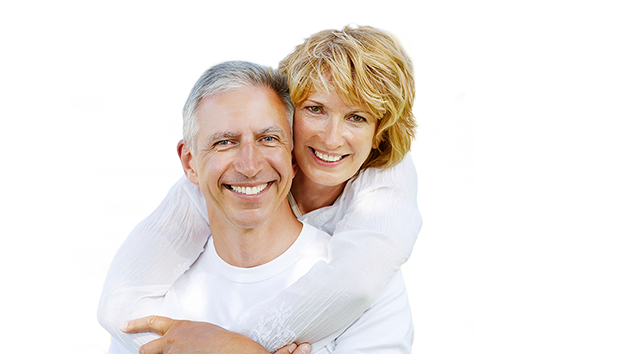 Implants are a safe, effective, and well-established treatment options for the replacement of missing teeth. Modern implants will usually last for many years provided they well cared for and maintained. If your implants are well looked after, and if the bone they are fitted to is strong and healthy, you can expect them to last for many years. However, just as with other surgical implants (such as a hip replacement) there is no lifetime guarantee. A dental implant is an artificial replacement for the root of a tooth. These are made from titanium, which has the unusual property of allowing bone to grow onto its surface. The strong attachment with the bone allows implants to support fixed or removable teeth. The dental implant is placed in the jaw bone through a small incision. After a period of 2 to 3 months healing impressions and records are taken to fabricate the restoration to fit on top.